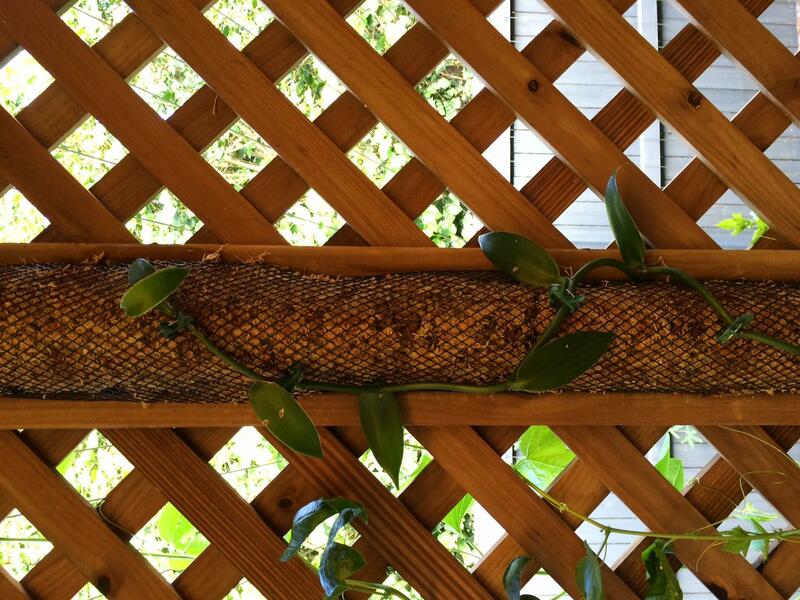 I just wanted to share an idea I had regarding a Vanilla Trellis. Recently I was lucky enough to be gifted a Vanilla planifolia and needed to come up with something clever so I could successfully grow it in the shade, under my pergola, up-cycling only what I had laying around. I re-used some discarded gutter guard, stuffed it with moist Sphagnum Moss and attached it to one of the timber posts using cable fasteners. 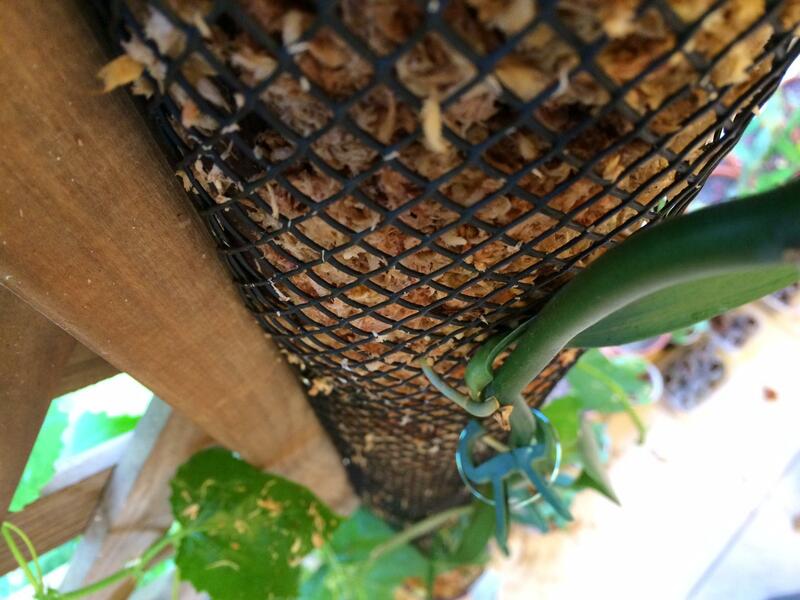 I then secured the vine using trellis pegs. I'm really happy with the results and it looks really neat and tidy. 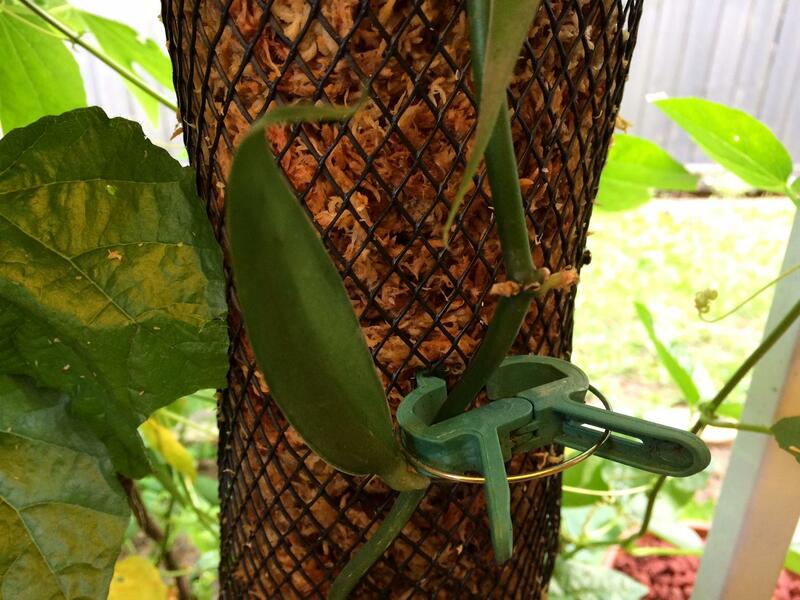 I have no doubt the vanilla plant will extend its aerial roots into the moist Sphagnum Moss and grow like mad. I'm also experimenting with a cylindrical variation to cover up an ugly downpipe and will post the results soon. Im keen to see the grow! Yes! 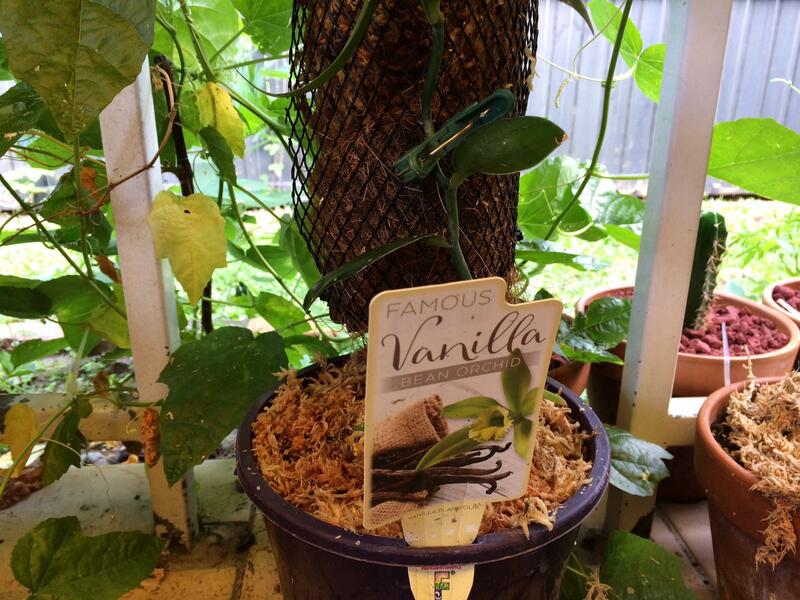 I would love to start growing vanilla!